It’s Advent. It’s time to #StayWoke - It’s “Get up, Stand up” time. Now that we’re halfway through this season of longing and expectation - it’s time to stretch ourselves spiritually and bodily. We’ve got to get up and move. Work the kinks out. This is a season to pray with the whole body as we celebrate the coming embodiment of God in Jesus Christ. As we’ve prayed the scriptures day by day here at the Cathedral of the Incarnation, I’ve been struck yet again by how active the Advent lessons call us to be. Not only are we encouraged to pay attention through many biblical invitations to #StayWoke. We are also charged to be tireless workers for justice and peace as we await the return of the Lord. Advent hymnody includes some of the best sacred music of the year (IMHO). And we sing A LOT of it here at the Cathedral. Come raise your voice with us anytime! I ADORE traditional Advent hymnody, but if I had to choose one Advent hymn this year, it’s not in the hymnal. It’s in the Bob Marley catalog. I just can’t get it out of my head! The story goes that Bob Marley wrote “Get up, Stand up” while touring Haiti, deeply moved by its poverty and the lives of Haitians. 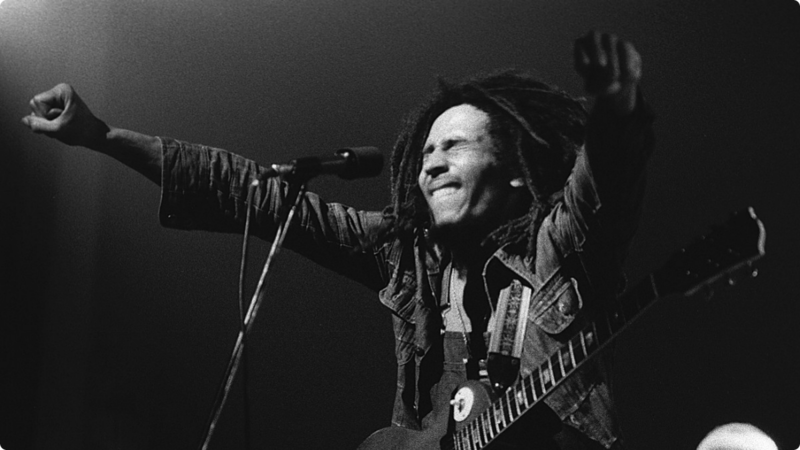 The song was frequently performed at Marley&apos;s concerts, often as the last song. "Get Up, Stand Up" was also the last song Marley ever performed on stage, on 23 September 1980 at the Stanley Theater in Pittsburgh, PA. This year, it’s my Advent anthem. Full of life, full of truth, full of respect and awe for the human condition. And for me, full of grace and truth! Get up, stand up: stand up for your rights! Get up, stand up: don&apos;t give up the fight! Dyin&apos; &apos;n&apos; goin&apos; to heaven in-a Jesus&apos; name, Lord. But you can&apos;t fool all the people all the time.